COOKEVILLE – An investigation by Special Agents with the Tennessee Bureau of Investigation and several East Tennessee law enforcement agencies has resulted in the indictment of a Rockwood man on several charges, including aggravated assault of an officer. At the request of 9th District Attorney General Russell Johnson, TBI Special Agents, along with investigators with the Rockwood, Harriman and Kingston Police Departments, and Cumberland, Morgan and Roane County Sheriff’s Offices, began investigating an officer-involved shooting that happened on December 24, 2015, in Roane County. During the course of the investigation, Agents learned that an officer with the Rockwood Police Department was involved in a pursuit of a vehicle that was reported to be stolen. When the officer approached the driver, Joshua Scarlett, he put the vehicle in reverse and attempted to strike the officer. The investigation revealed that the officer fired his weapon, striking Scarlett in the face. Scarlett was transported to a hospital for treatment. The officer was uninjured. 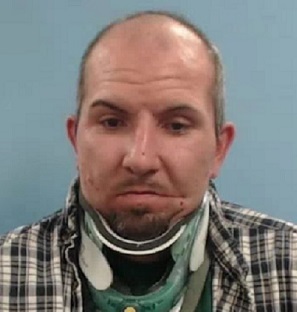 On February 17th, the Roane County Grand Jury returned an indictment charging Scarlett, 35, with one count of Aggravated Assault with a Weapon, one count of Felony Reckless Endangerment, and one count of Evading Arrest. This afternoon, Scarlett was arrested by a TBI Special Agent after turning himself in at the Roane County Jail. He was booked, and released with a GPS monitor due to a medical condition.